This banana fiber turtle is small but detailed. 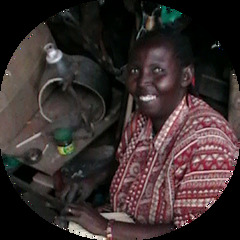 It is two inches in length, handmade in Kenya. Detailed Comments: Wasn't sure about these when I first ordered them but I was delighted by their quality and size and customers love them. Detailed Comments: these little turtles look real. We've had customers stop and look twice, perfect gift for little boys who love critters or just those who like to collect. Detailed Comments: Amazing what the artisans are capable of creating from dried banana leaves! Frogs & turtles are always popular with our customers and this is unique addition to their collection. Detailed Comments: Well-made piece of Kenyan folk art!